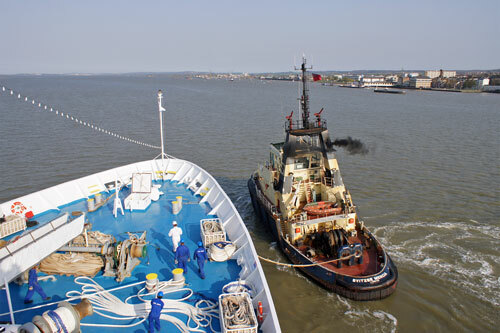 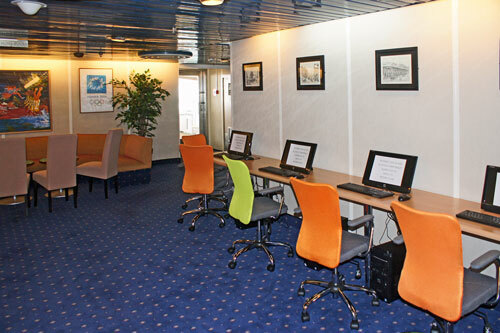 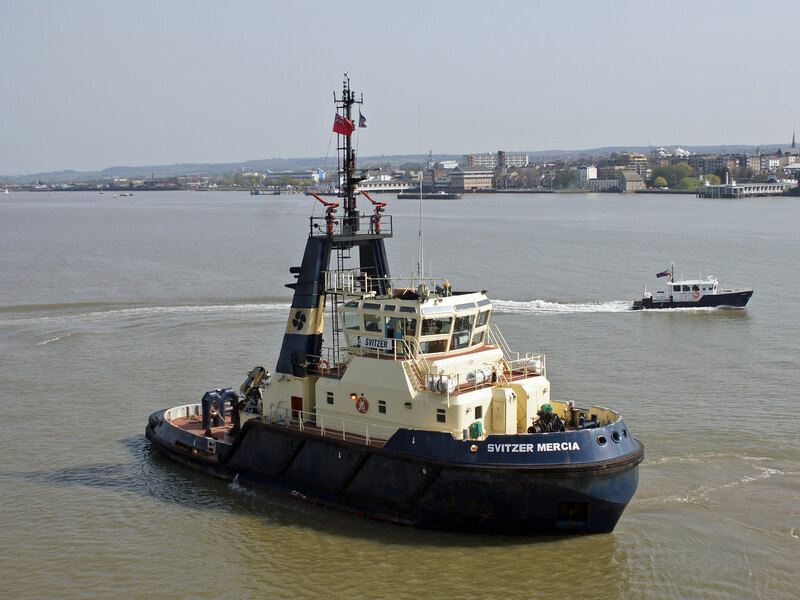 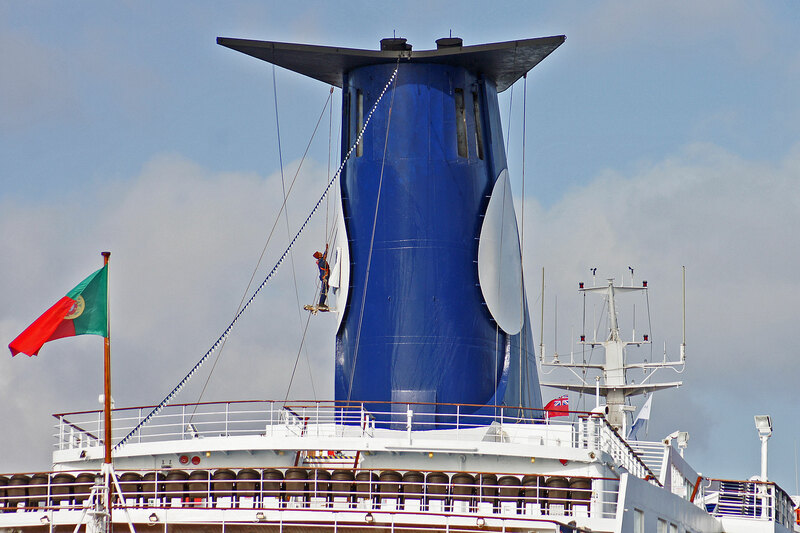 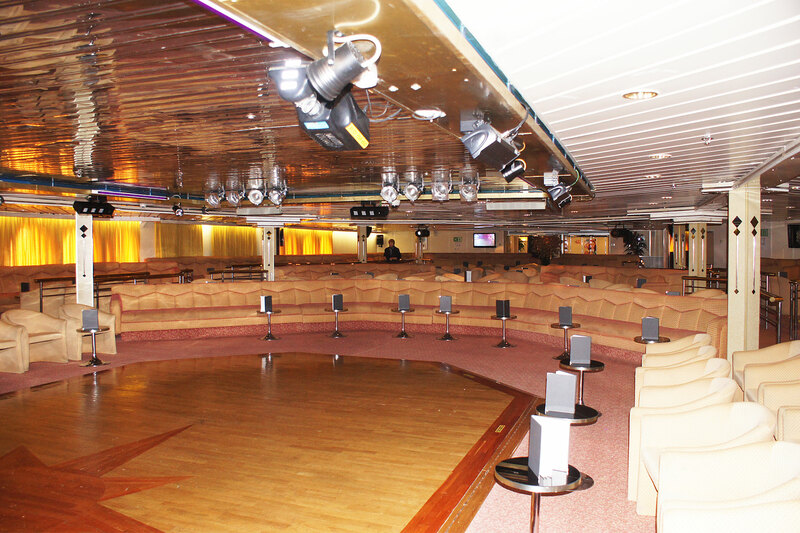 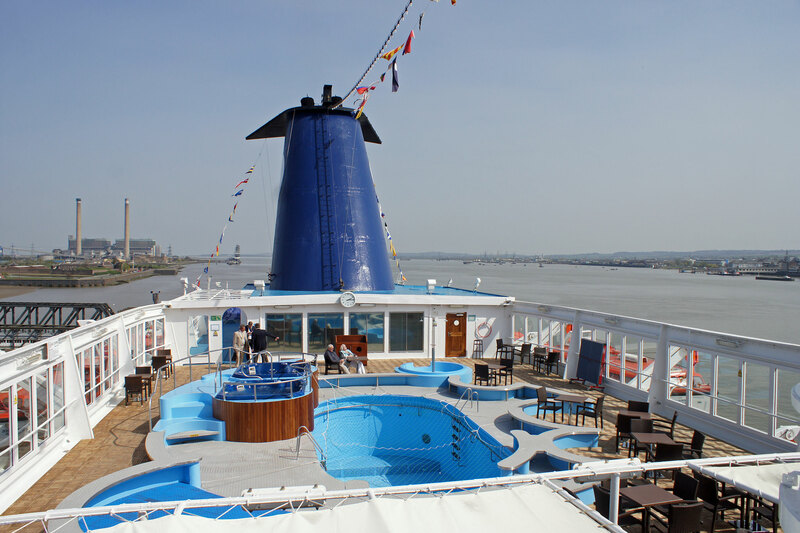 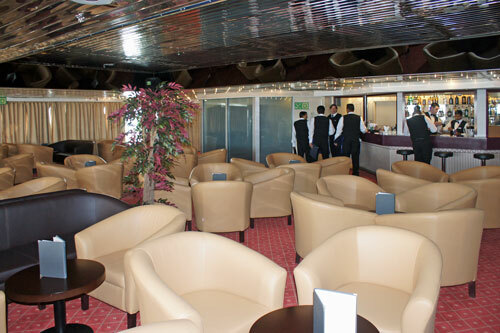 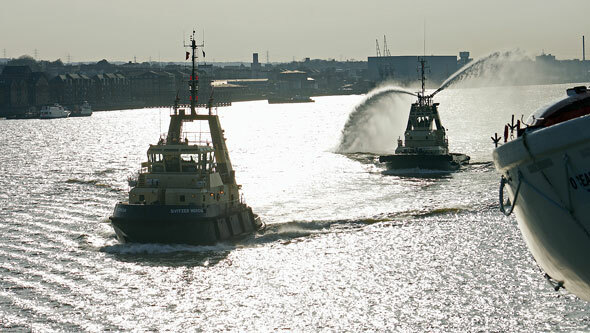 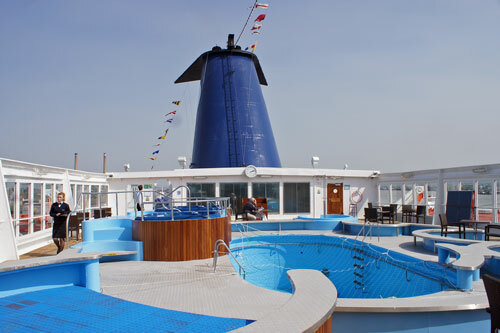 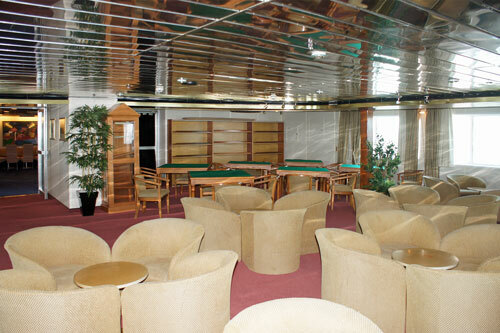 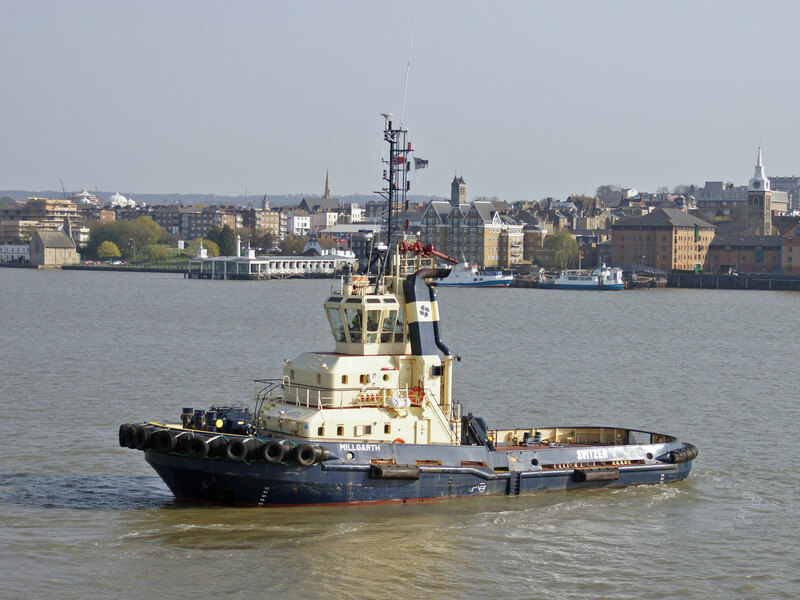 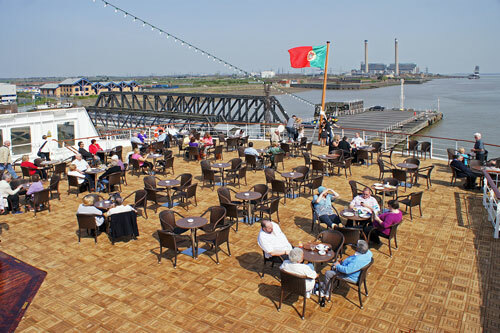 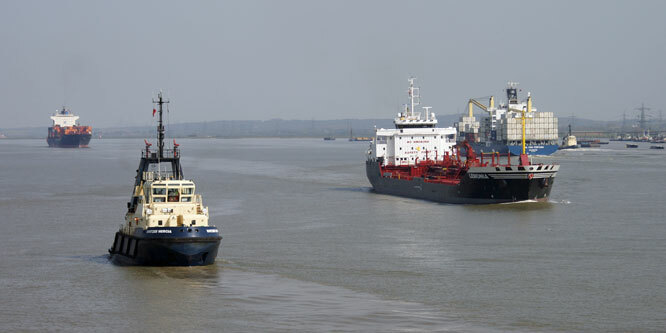 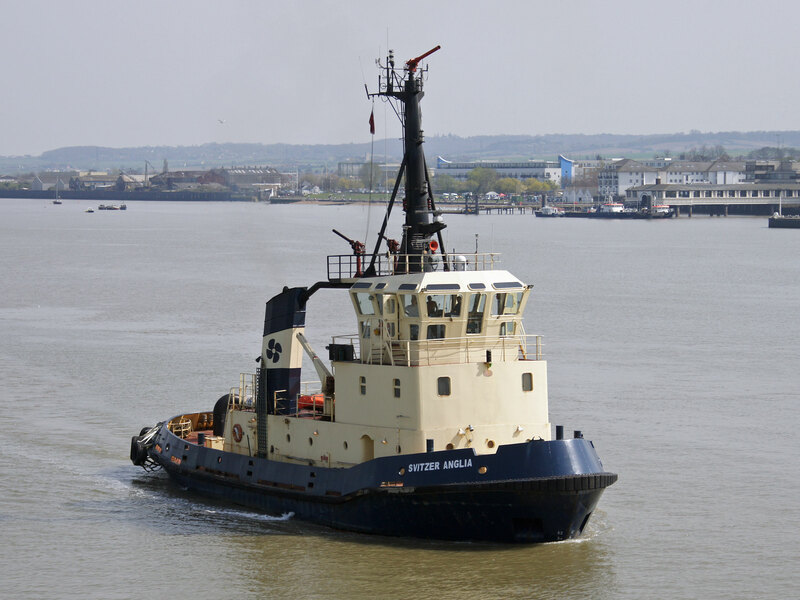 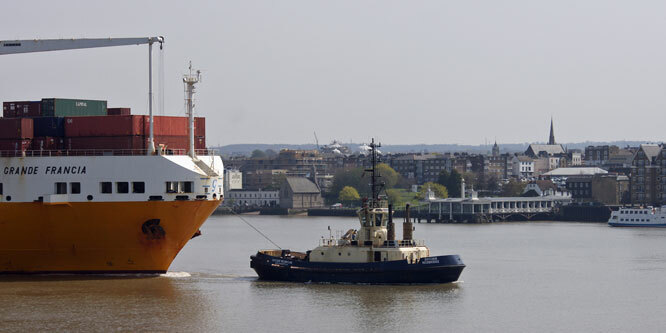 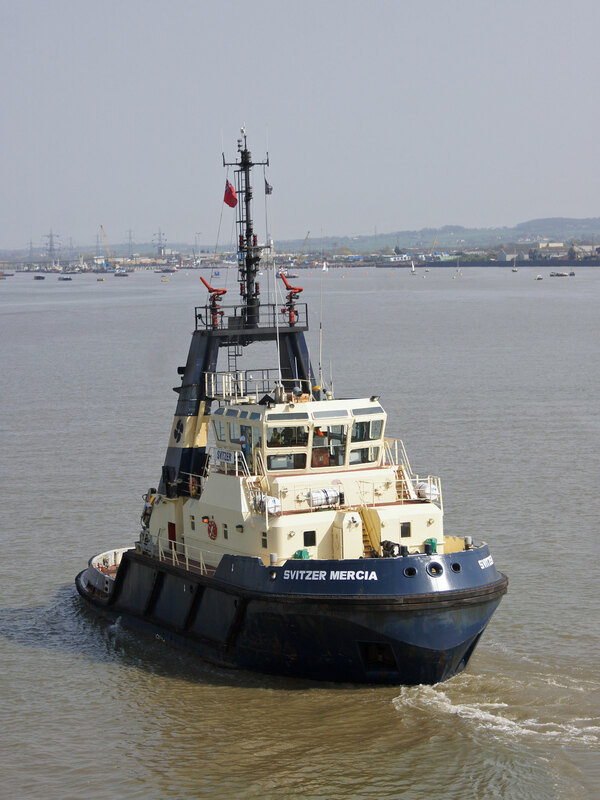 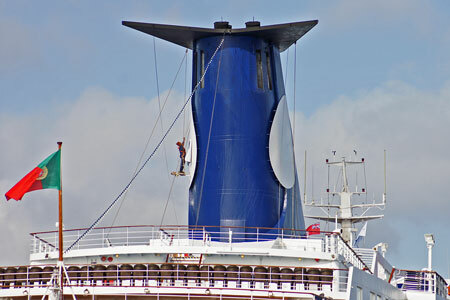 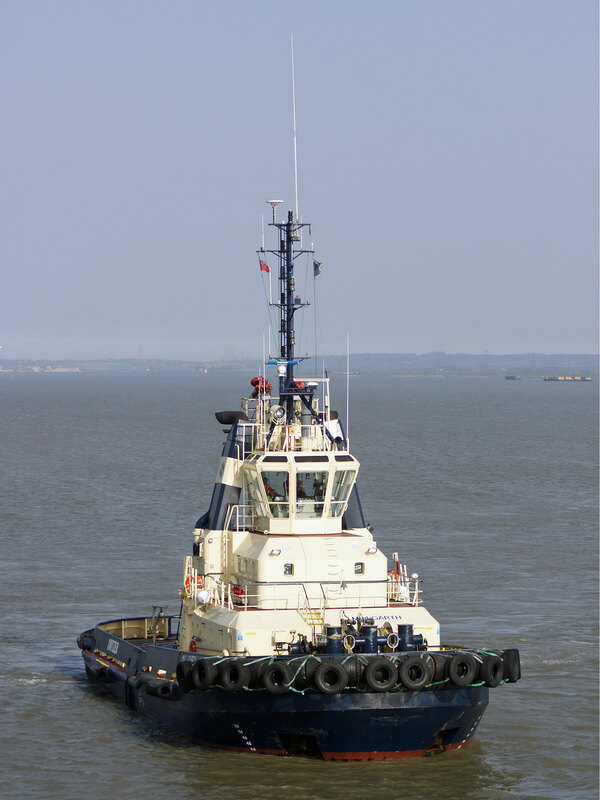 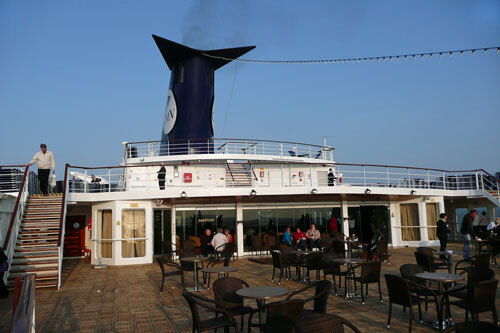 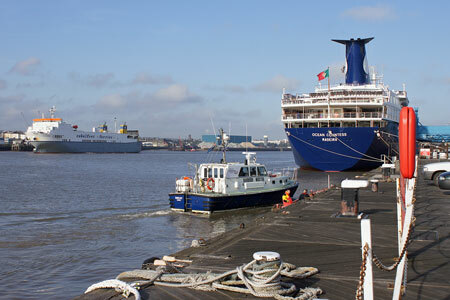 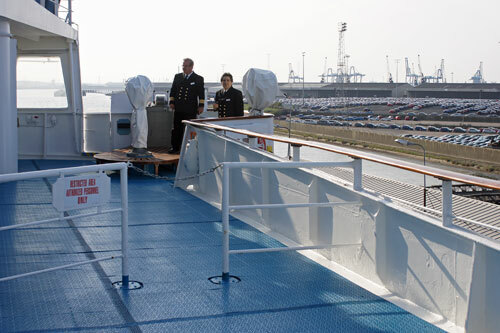 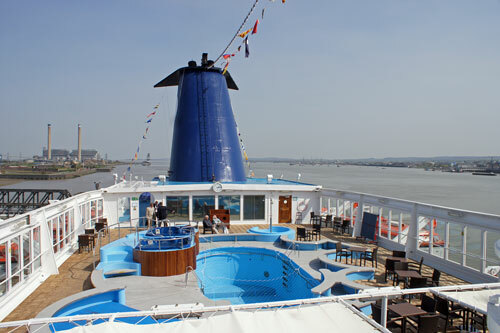 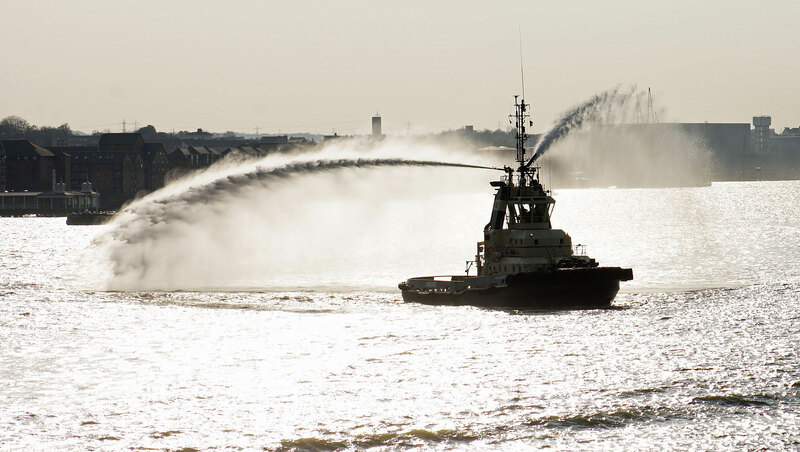 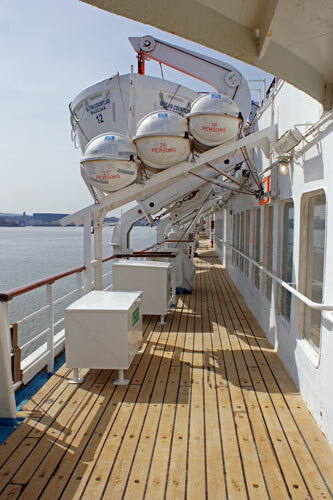 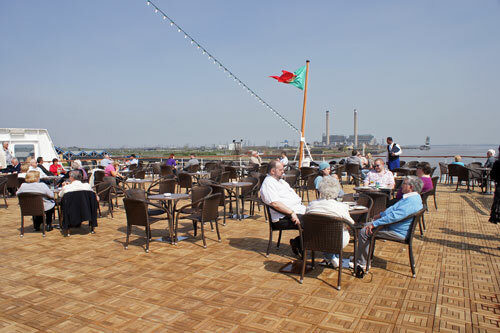 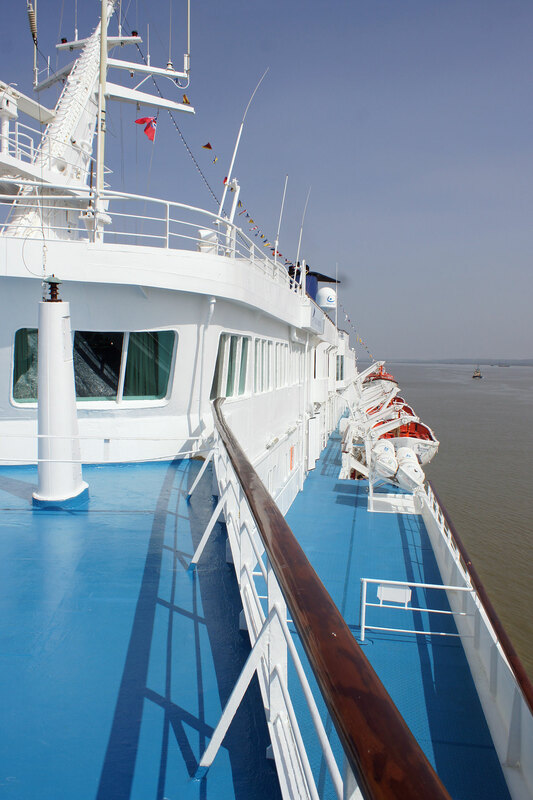 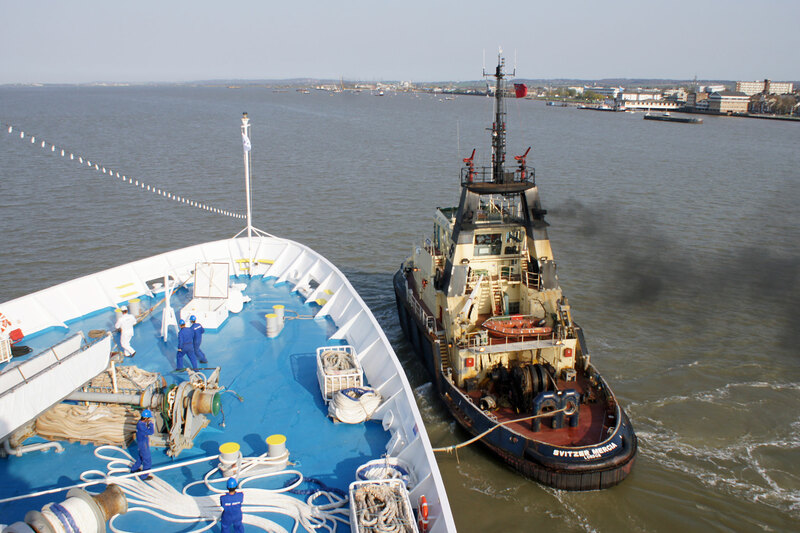 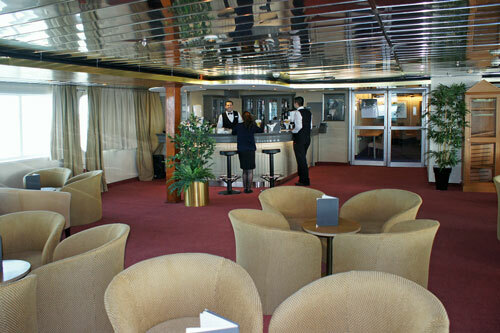 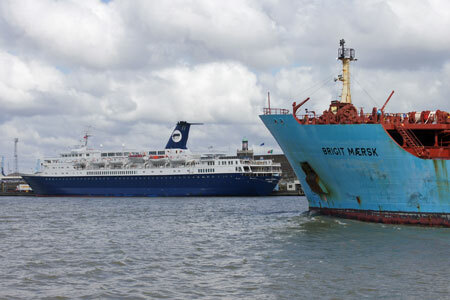 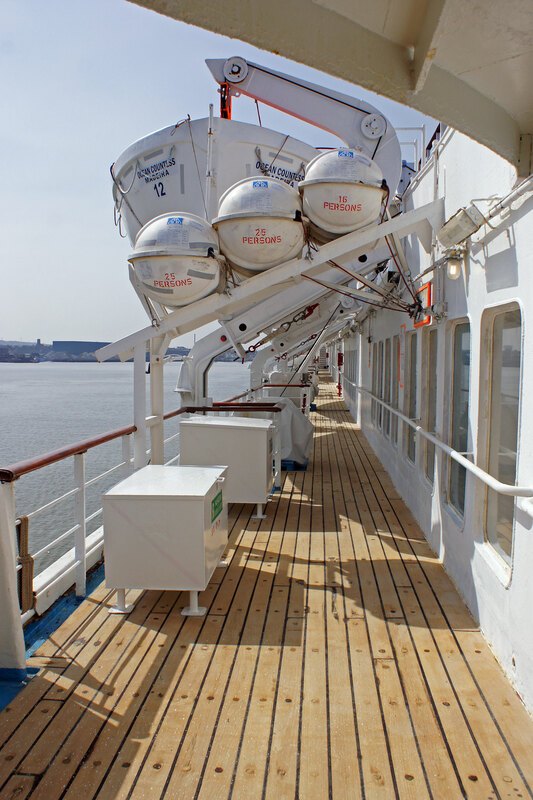 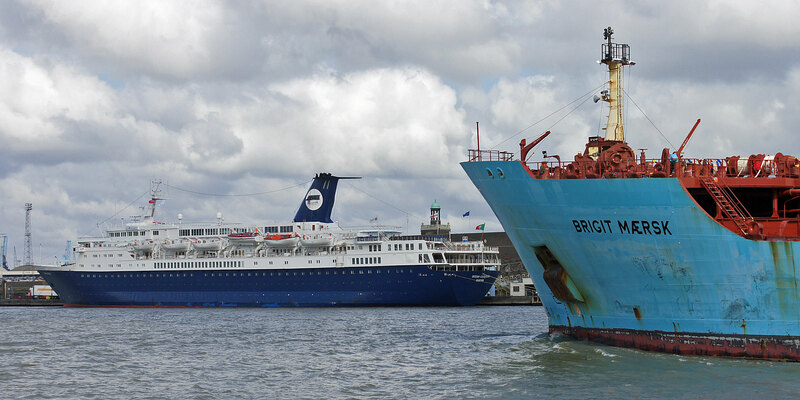 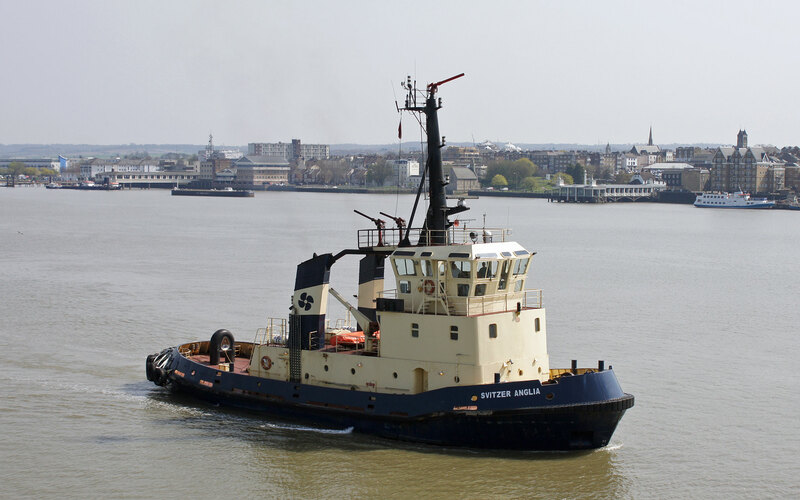 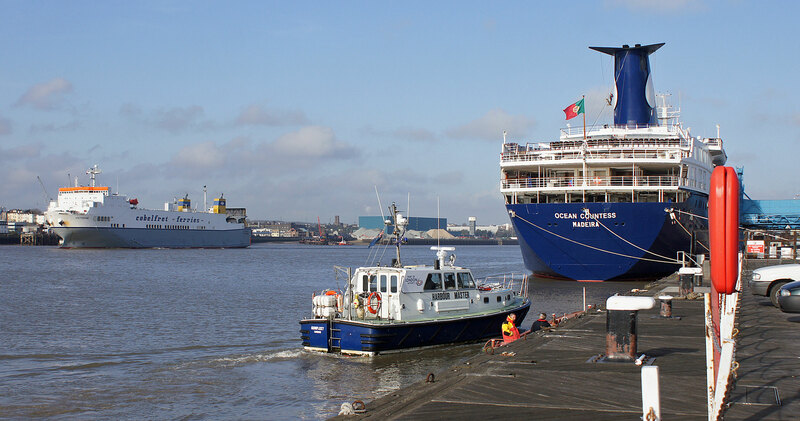 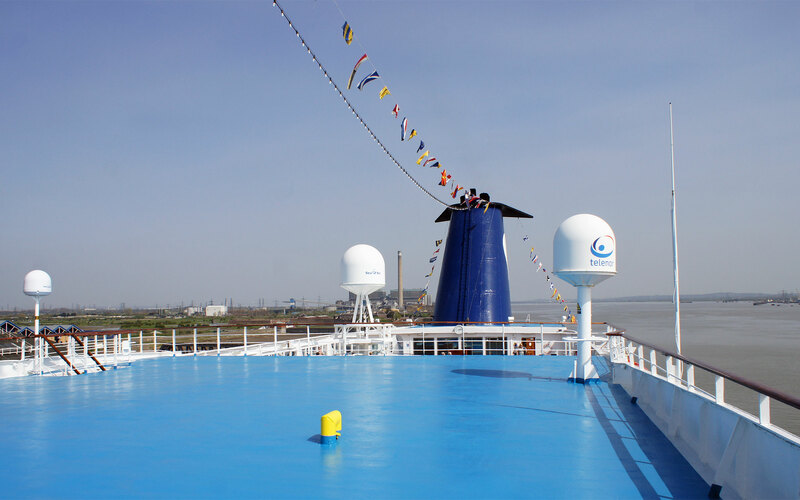 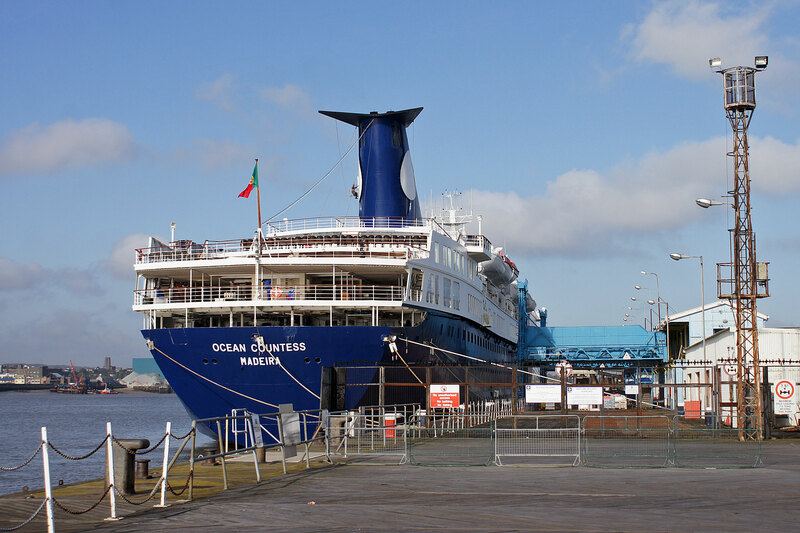 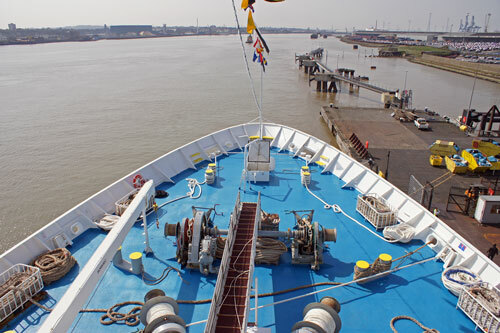 This page is one of a series showing mainly shipping and other transport images from a cruise on Ocean Countess in 2010 to Amsterdam, returning to Hull. 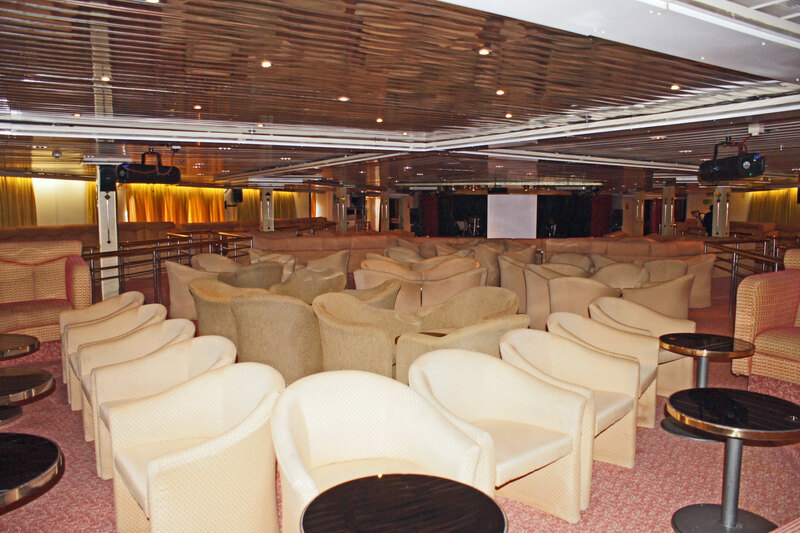 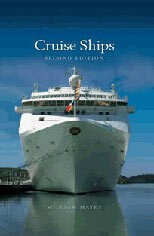 This was the first cruise on charter to Cruise & Maritime Voyages. 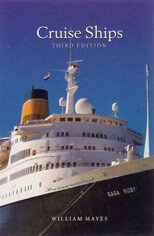 Launched by Burmeister & Wain in Copenhagen in 1974, Cunard Countess was moved to La Spezia for fitting out, entering service with Cunard Line in August 1976. 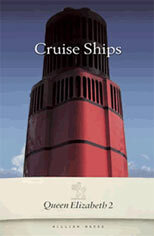 Sistership was Cunard Princess. 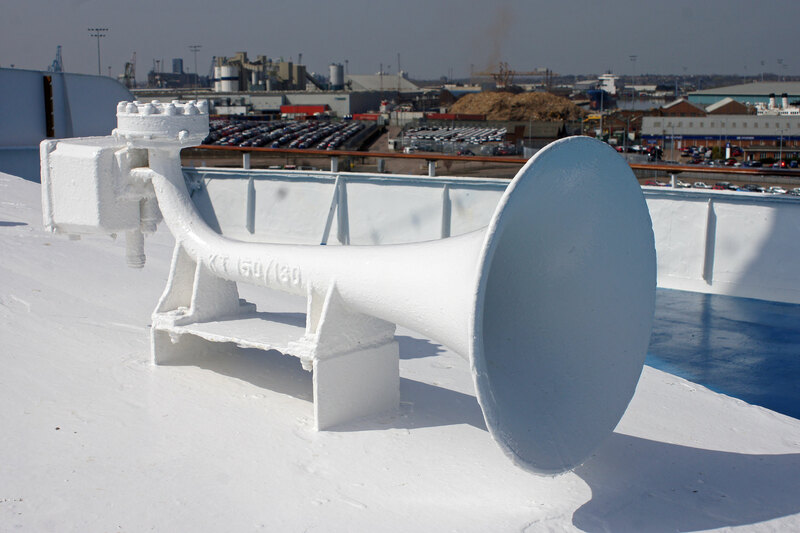 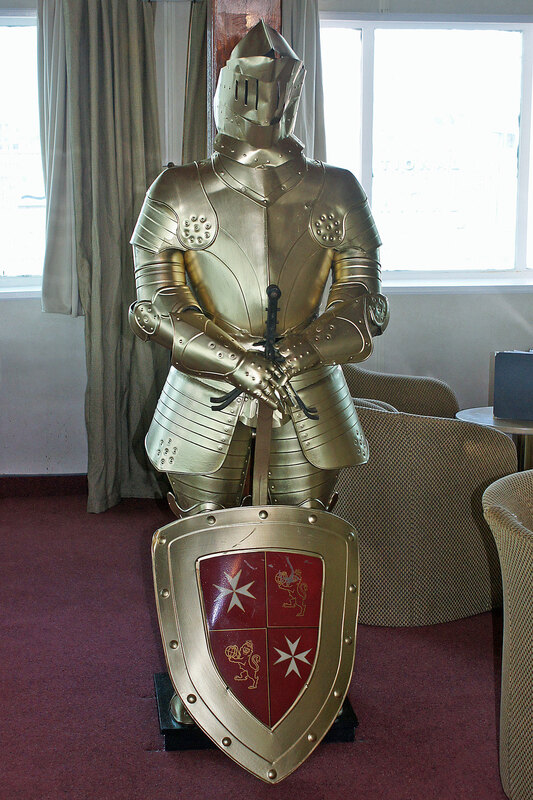 She originally had a white funnel like the Cunard Adventurer, which she replaced in service. In 1982/83 she was used as a troop ship during the Falklands conflict. 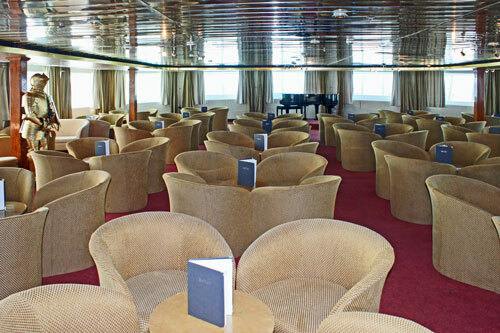 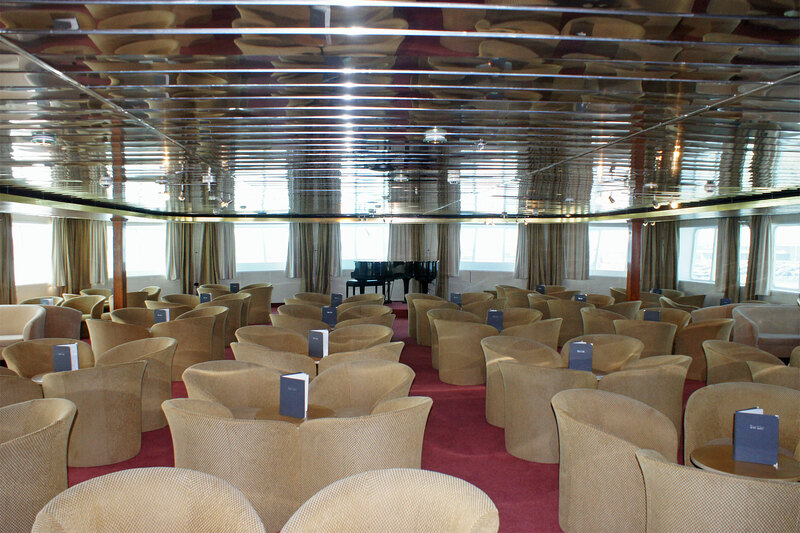 Cunard Countess was sold to Royal Olympic in 1997 becoming the Olympic Countess (later Olympia Countess). Following the collapse of Royal Olympia in 2004, Olympia Countess was bought by Majestic International Cruises who renamed her Ocean Countess. 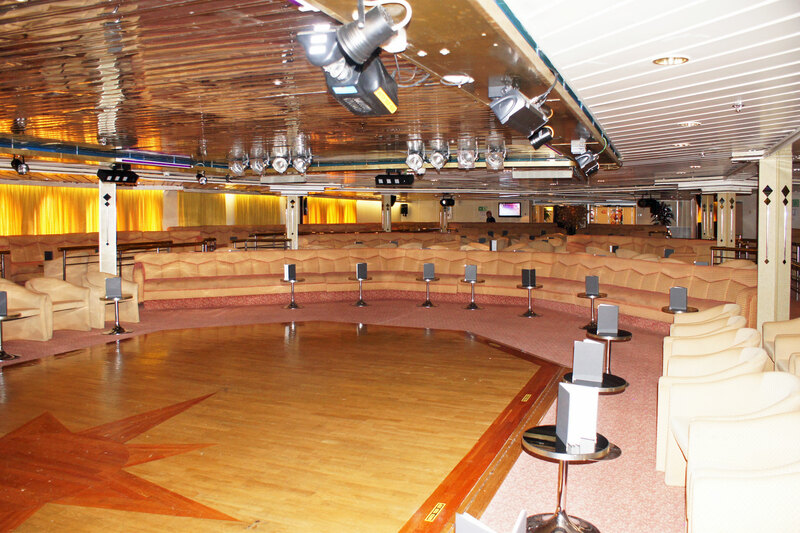 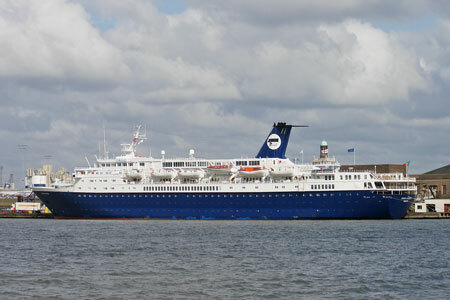 She was chartered to Globalia in 2005, and to the German tour operator Holiday Kreuzfahrten in 2006, as Lili Marleen. 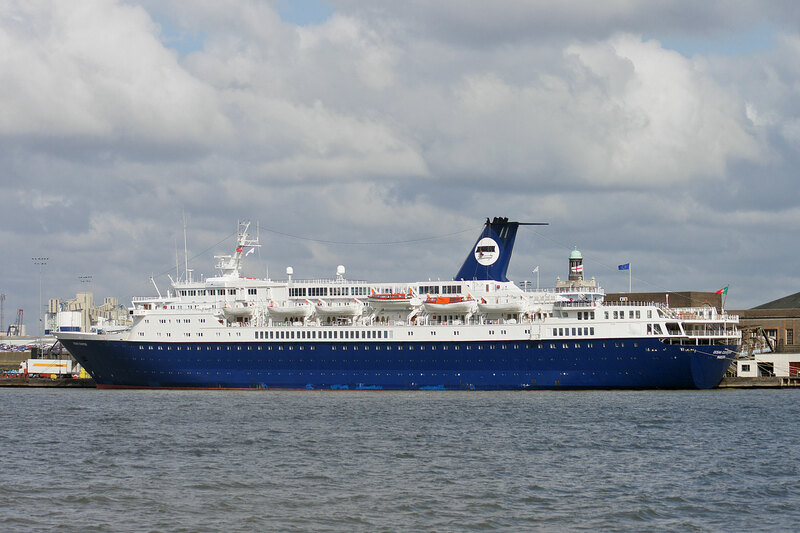 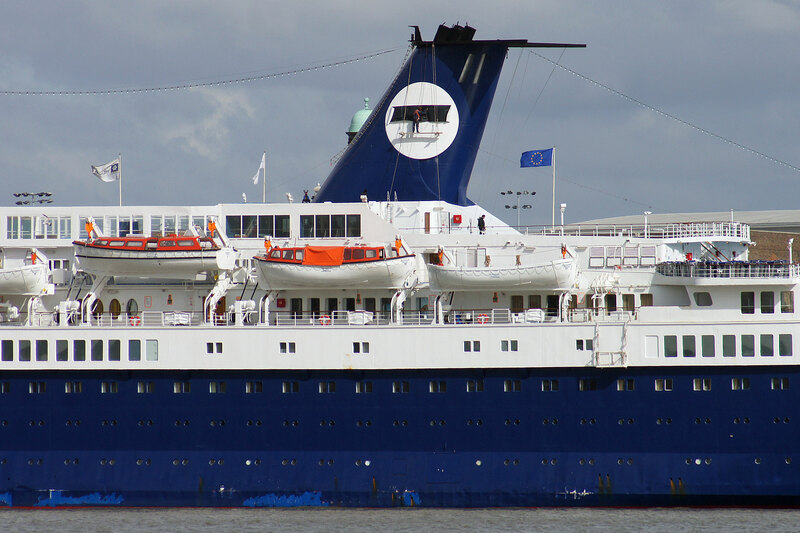 Holiday Kreuzfahrten failed later in 2006 and returned to her owners. 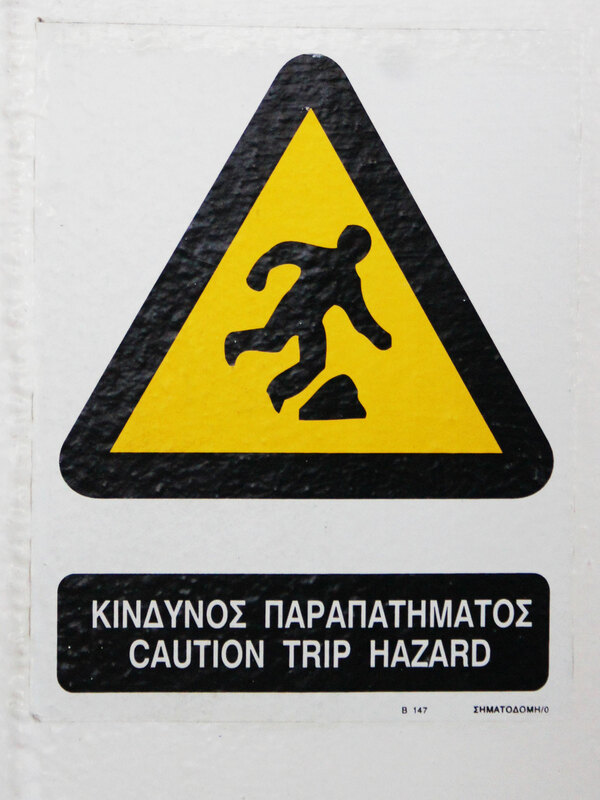 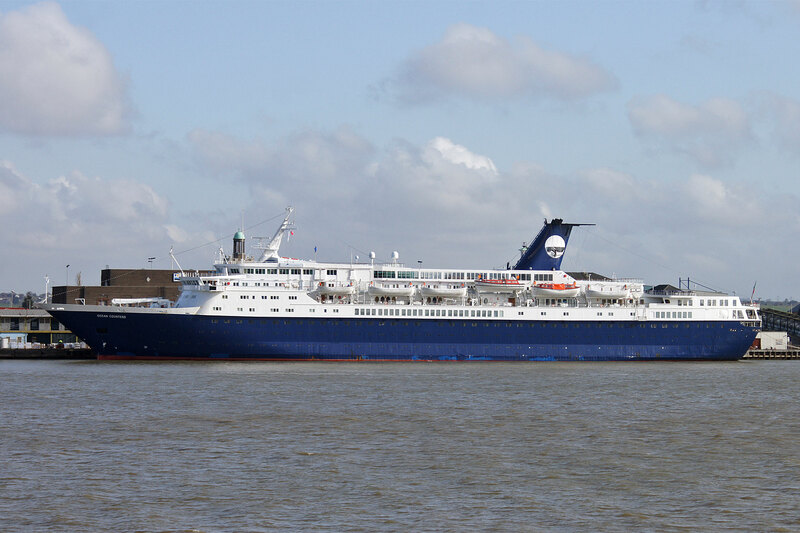 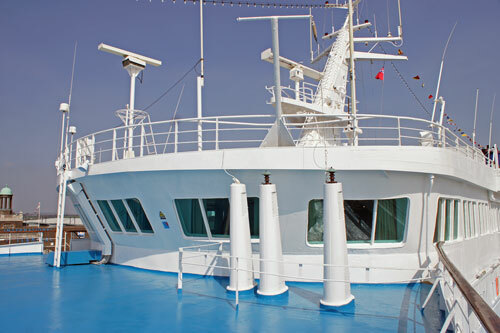 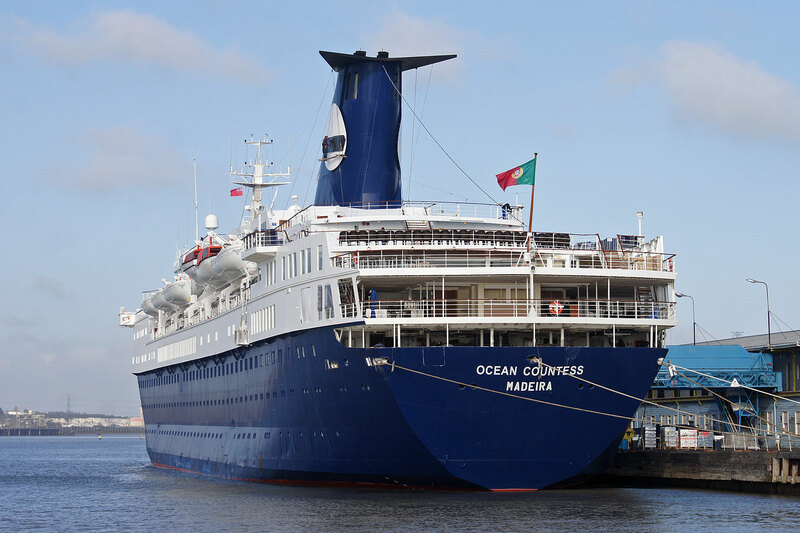 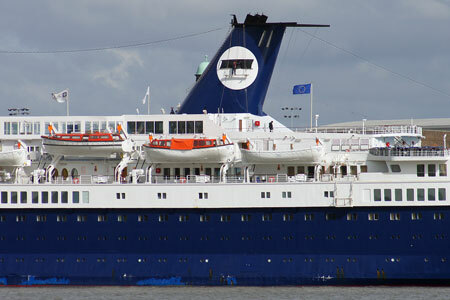 She was planned operate 3- and 4-day cruises out of Piraeus in 2007 as Ocean Countess for subsidiary Monarch Cruises, on the schedule originally advertised for Ocean Monarch. 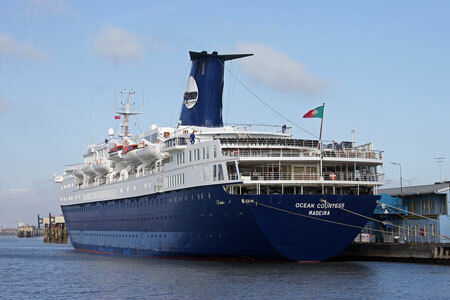 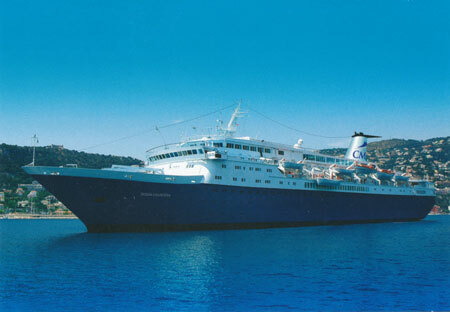 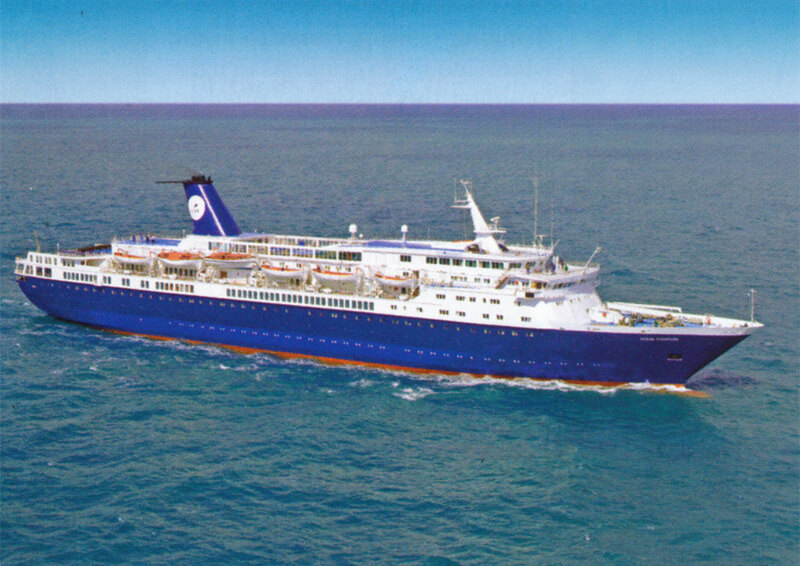 However, she was chartered for 2007 to Louis Hellenic Cruise Lines and renamed Ruby, to replace the lost Sea Diamond. 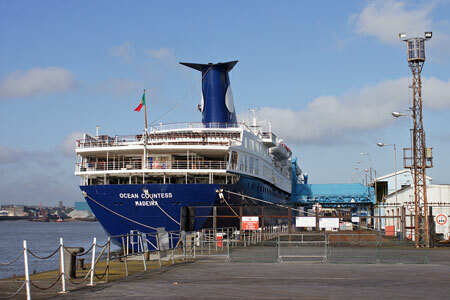 Ocean Monarch was reactivated in her place. 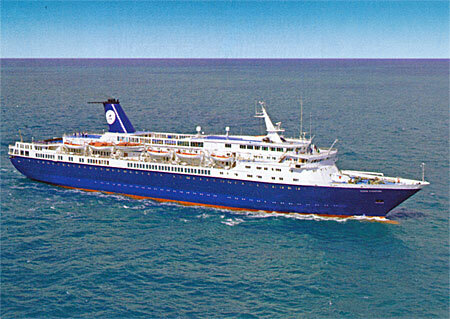 In 2009 she ran as New Pacific with Quail Cruises. 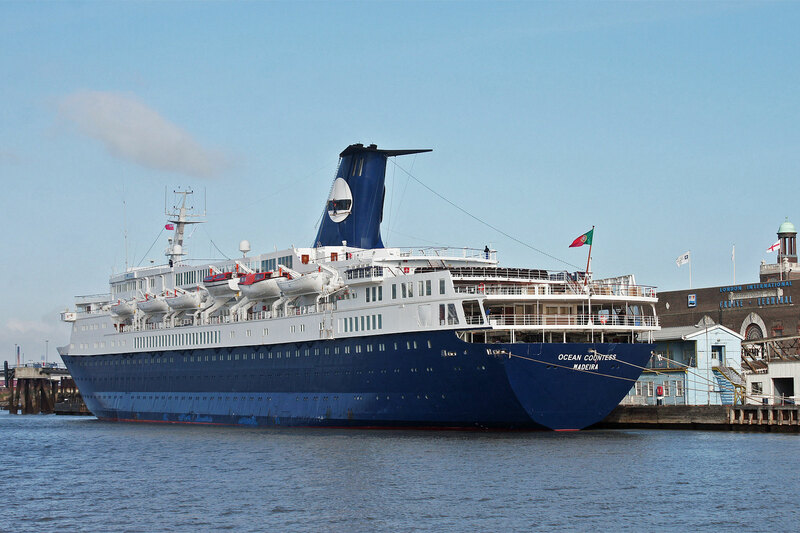 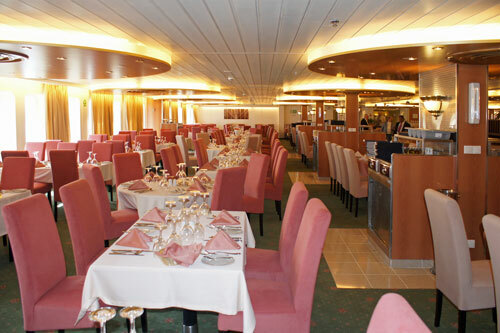 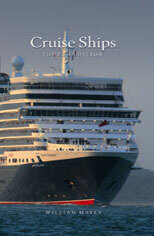 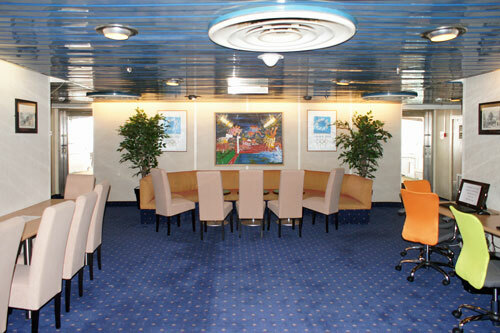 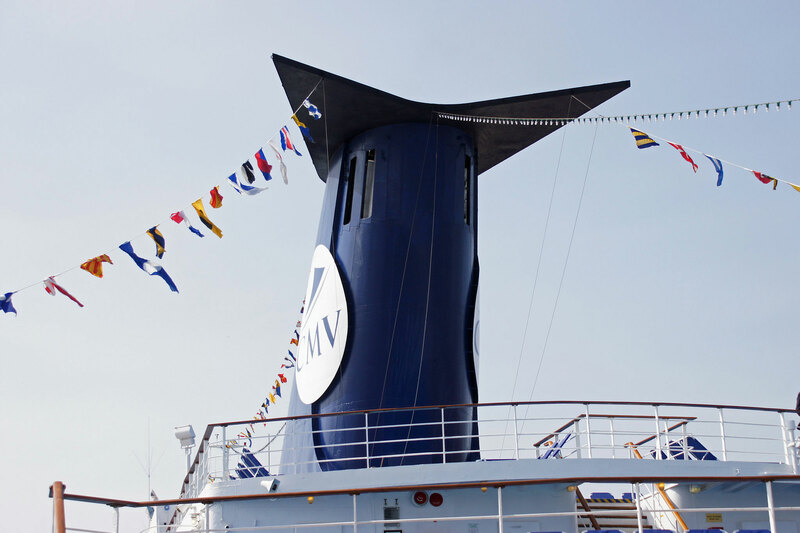 From 2010 Ocean Countess operated for Cruise & Maritime Voyages (CMV) in the UK market. 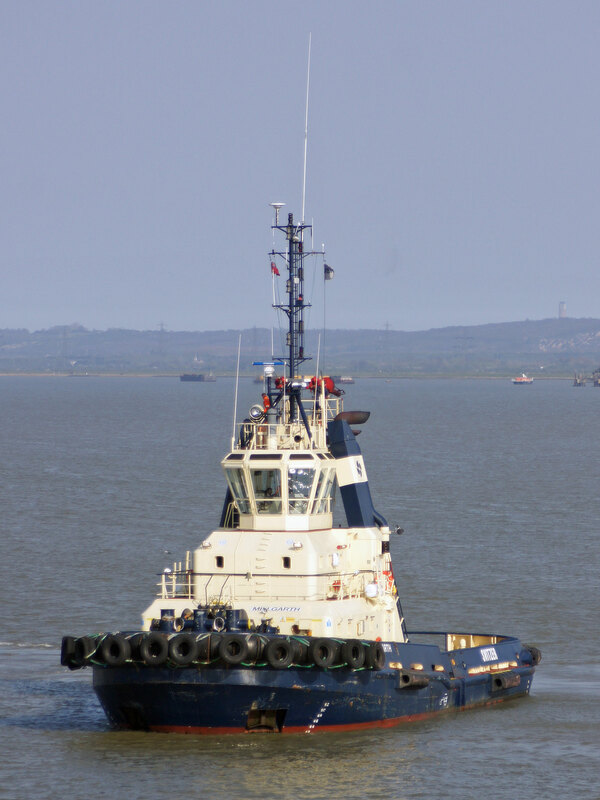 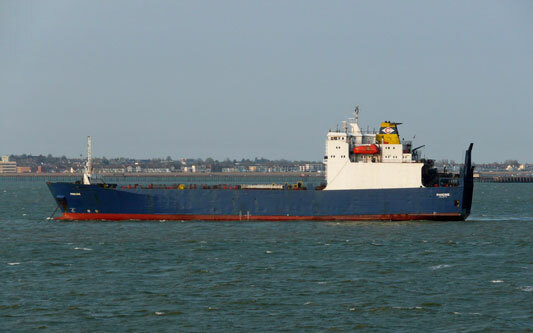 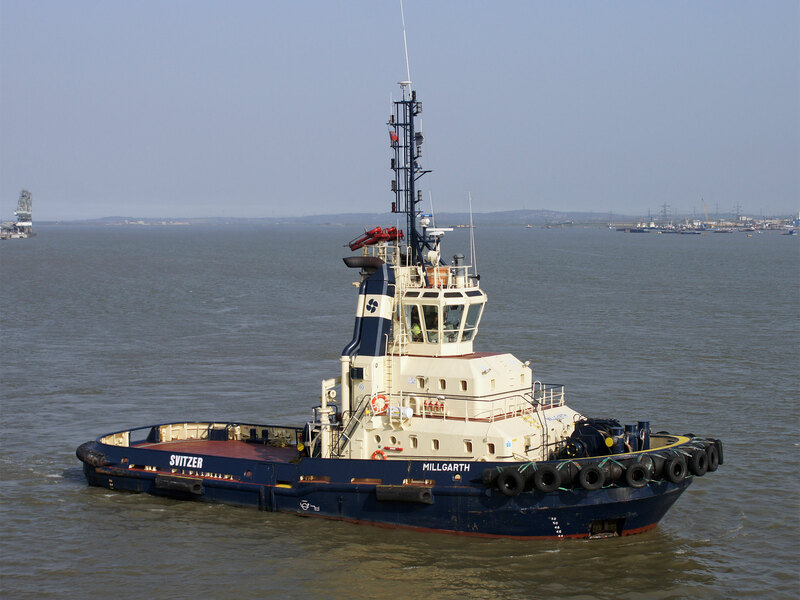 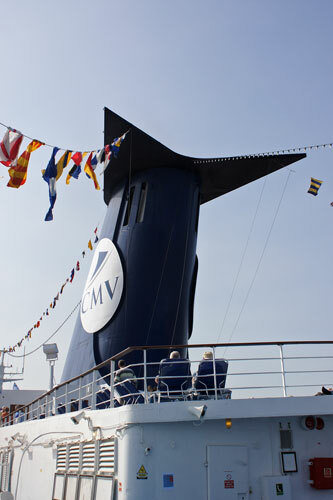 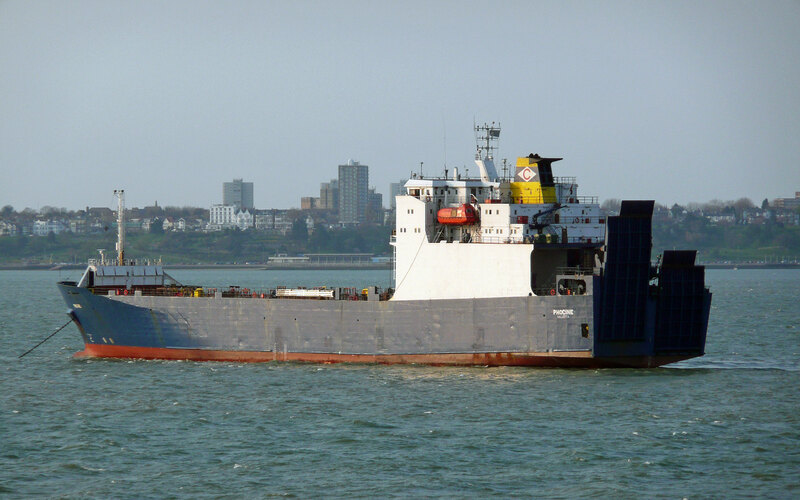 Replaced with CMV by Discovery, she was laid up in Greece. 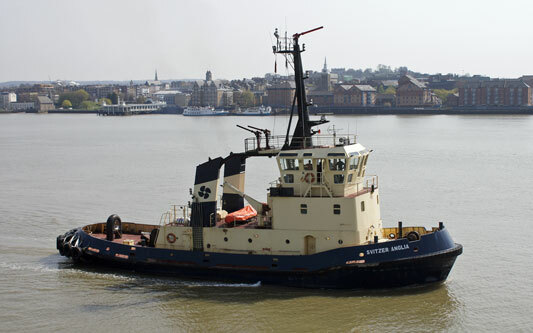 She suffered a fire whilst being prepared for a 2014 charter on 30th November 2013.